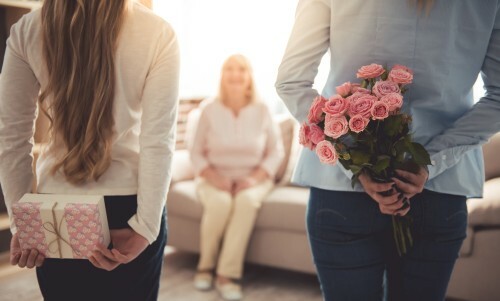 We know it’s not Mother’s Day or your mom’s birthday, but that doesn’t mean you can’t write a loving letter to your mother. It’s a small gesture that will make a huge impact. So show your mom how much you love her today by sending her one of these heartfelt letters! Dear Mom. Like a nurse, you take care of what hurts. Like a map, you help me find my way. Like a superhero, you always save the day. Like a library, you share your knowledge with me. Like a sturdy pair of legs, you allow me to stand on my own two feet. Like a therapist, you patiently listen. Like a tissue, you wipe away my tears. Like the ocean, your calm presence is always there. Like no one else, you love me. And like home, you are where my heart will always be. Dear Mom. A mother is one who understands the things you say and do, who overlooks your faults and sees the best in you. A mother is one whose special love inspires you every single day, who fills your heart with joy in her kind and thoughtful way. A mother is all these things and more – the greatest treasure I’ve ever known. And the dearest mom in all the world is the one I call my own. Thank you for always being there for me, mom. I don’t know what I would do in life if it weren’t for you. Dear Mom. It’s with great sorrow that I’m writing to you. I have to confess that I had to elope with my new boyfriend because I wanted to avoid making a scene with you and dad. I think I have found true love with Bob, especially when I learned to see through all his piercings, tattoos, crippling alcoholism, and even more crippling debt. But that’s not the only reason I’ve decided to elope with the man I love. In reality, I’m pregnant and you’re about to be grandparents. Bob already owns a trailer in the woods with a bunch of firewood that will last us all winter. Mom, I’m 15 years old now, and I can take care of myself. Love, your daughter. Mom, none of that stuff is true. I’m over at a friend’s house. I just wanted to remind you that there are worse things than my report card on your bedside table. Love you! Dear Mom. I’ve been excited for the day of my wedding ever since my childhood days. I never really thought of the time I would spend after the wedding. Now that I’m married, I realized that it’s not all joy and happiness. It comes with responsibilities and sacrifice. There are things I would need to do for the family that will get in the way of the time I usually spend on myself. Sometimes I think of how you were able to do it all so well. You made being a mom and a wife seem like the most natural thing in the world. Sometimes I miss being the pampered little girl that I was when I was with you. I miss your home-cooked meals whenever I prepare a meal that’s not even close to the way you cook. I miss coming home to a clean home and lounging about, not knowing how much effort you put into keeping our home tidy. I guess what I want to say is that I’m really grateful for all the sacrifices you have made for us. Thank you for everything, mom! Dear Mom. I’m sorry for being a difficult daughter. I’m sorry for all the crap I put you through. I’m sorry for being annoying, rude, or mean to you. I’m sorry that I never got to say thank you enough. But here I am, hoping I can make up for all the opportunities I missed. Thank you for putting up with me. Thank you for holding my hand through the most difficult times in my life. Thank you for being there for me, in happiness and in pain. Thank you for always loving me unconditionally. Thank you for never leaving my side. Thank you for being the best mom you could be. I love you! Dear Mom. Ever since I was a little girl, I had known that the way you raised me would change me for the better. When I was little, you were always patient with me. That doesn’t mean you never got angry, but you always tried to understand what was going on in my head. You always had your arms outstretched whenever I would come running to you for comfort. You always had a way of making me smile and laugh even after I’ve been crying my eyes out. Mom, I know I was never the perfect daughter. I said and did things that would have driven anyone else out of my life. But because of your unconditional love, I have learned to be a better person. I learned to appreciate everything you ever did for our family. You accepted me at my lowest, and you rejoiced with me throughout my successes. I could never have asked for a better mother in this world, and I doubt that it’s possible to find a better mother than you. I love you, mom! Dear Mom. I want you to know that I’m really thankful to have you as my mom. I’m so thankful that I was birthed by a woman as strong and as beautiful as you. You brought me into this world, cared for me, taught me, cheered for me, and most of all, loved me. I know there were times when I made you worry and cry. I’m really sorry for all of that. I was just reaching out and trying to find new experiences, not knowing that the best person to guide me through those experiences would be you. Mom, please promise that you will never stop guiding and supporting me. I don’t know what I would do in this life if I didn’t have your soothing voice to remind me of all the goodness in the world. You light up my world, and you are my inspiration. You are my number one fan as I am your number one fan. No one compares to the love you give me, mom, and I love you so much. Thank you for being such a wonderful mother. Dear Mom. I know it’s weird that you’re suddenly getting a letter from me, but I hope it doesn’t make you worry! I’m just writing this because I wanted to tell you how much I appreciate you. Thank you for always being there whenever I needed you. Thank you for letting me cry in your arms without interrogating me about why I’m crying. Thank you for being right by my bedside each time I was sick. Thank you for making me laugh and letting me see how well humor can make me feel better. Thank you for being with me through every contest, quiz bee, sporting event, and school play. Thank you for you unwavering support in everything I do, even if I know you sometimes wonder why I’m into the things I’m into. Thank you for being an example of strength, love, compassion, sacrifice, and a thousand other things. Thank you for making me be the best person I can be. Add most of all, thank you for raising me even though I know it wasn’t easy. Your sacrifices and efforts have not gone unnoticed. Thank you for everything, mom! Dear Mom. This quote reminded me of you, “I realized when you look at your mother you are looking at the purest love you will ever know.” In my less intelligent years as a teenager, I thought the ultimate kind of love is the one you share with a lover. Boy, was I wrong. I later realized, now that I am a mother myself, that there is no love that can compare to the love of a mother for her child. Other kinds of love would often ask for equality wherein two people love each other equally. But the love of a mother is leaps and bounds more than a child can imagine. Mothers sacrifice nearly everything for their child. Mothers would give everything up just to see their child happy and healthy. Mothers are capable of staying up all night, being tired and hungry, all so that their child would have a smile on their face all the time. Mom, I never really expressed just how much I appreciate your sacrifices for us. But I just wanted you to know how thankful I am for every single thing you’ve done for us – from all the sleepless nights to the days of cleaning the house to scrambling to find the best ingredients to give us a good meal. You really are a superwoman, and I appreciate it all. Dear Mom. You are my best friend, forever and always. I have seen your love during all those times when I needed you – from boring school plays to little league to every other activity I was into at the time. I also saw how much you love when I would take my frustrations out on you and yet you still love me limitlessly and unconditionally. There were times when I was a being such a horrible daughter to you. Still, you loved me anyway, and for that, I am forever grateful. Thank you for being my shoulder to cry on when I had my first heartbreak. You always knew what to say to make me realize that maybe those guys don’t deserve my tears. Mom, I sometimes wish I never had to grow up so you’d always be there by my side. But I realized that growing up doesn’t mean growing apart from you. Instead, it means learning things on my own while taking with me the lessons you have taught me. You are my greatest teacher, my number one fan, and the woman I love most in this entire world. Dear Mom. I know that life would sometimes be difficult and there have been times when I’ve felt like giving up, when things were not going my way. Each time, you were there to remind me of my worth as a human being. You would tell me just how proud you are of me, even for the little things that I’ve done. You would always be there, encouraging me to keep reaching for the unreachable and never settle for anything less than I deserved. No matter how odd my dreams seemed to you, you always respected that I am my own person with dreams of my own. So through my pursuit of all sorts of new things, you were right by my side guiding me and cheering me on. As I get older, I realize more and more how much you have done for me and continue to do every day. Each time I go to your house, I always feel like a little kid again. And you never hold back from spoiling me just to let me know that you miss me. I miss you too mom, and I hope to see you soon. Dear Mom. One day, I will be a mom too and I will fully understand every sacrifice you have had to make for your children. But before I become a mother, I’m already beginning to learn what it takes to be a good mother because I have a wonderful one as an example. You were the guiding light of my childhood. Though my memories of my youngest days were hazy, I remember that they were filled with laughter and smiles, with good food and soft beds, with hugs and kisses. And in every memory, you were there, arms outstretched and ready to hold me whenever I needed you. Thank you for all the sacrifices you made, mom. I love you so, so much. A short and sweet letter of appreciation for everything your mom has done will leave a mark on her heart that she will cherish forever. Next articleWhat Does It Mean When You Dream About Your Younger Self? Thank you for sharing your positive comment. Have a great day, Sierra! Dear mom even though we never had the best relationship I still love you and your like a best friend to me you never left me always cheered me up when I was at my lowest and I just wanna say I’m sorry for always giving you a hard time even when I was angry because I took most of my anger out on you because of my achollic dad I love you so much mom you are my world my everything. Thank you for sharing your positive message. 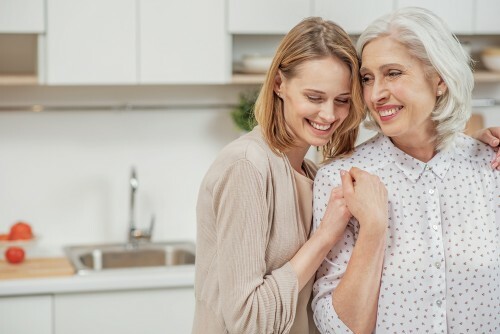 It is clear that you want to share your kindness and compassion with your mother. Please feel free to share more of your thoughts and feelings in the future. Have a great day, Gracie!